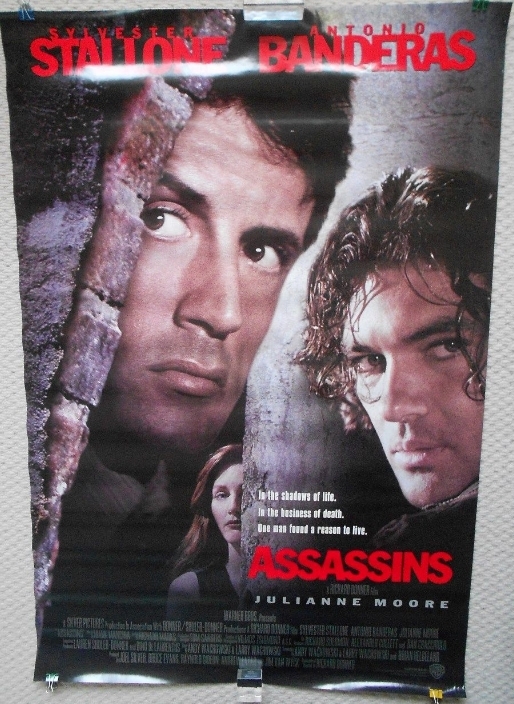 Original 1995 1sh film poster from the film 'Assassins' featuring Sylvester Stallone and Antonio Banderas. This Single Sided poster is in VG-Fine condition and measures 27" x 40". The poster shows a slight waviness. Nice example of this film poster.